Manchester: Socialist Students ran campaign stalls every day of the University of Manchester freshers fair, campaigning for a £10 an hour minimum wage, writes Bridget Russell. University of Hertfordshire: Without doubt Socialist Students made a great start in establishing ourselves as a vehicle and voice for students to fight for free education for all, writes Lenny Shail and Sunara Begum. 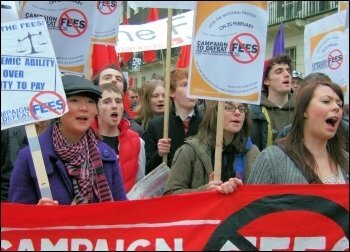 Thousands of young people across the country are hoping to expand their horizons by starting courses at colleges and universities this term, writes Matt Dobson, Socialist Students national organiser.